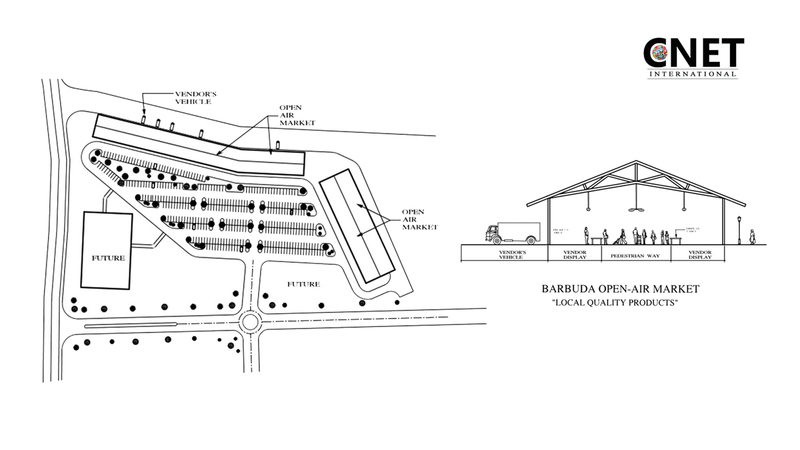 A proposed “OUTAONE Hyper Market” will be located in a centralized geography region of Barbuda. It should be adjacent to a central business district with access to multi-modal transportation services. The surface transportation system should support commercial transport vehicles and have multiple routes leading to the Market. 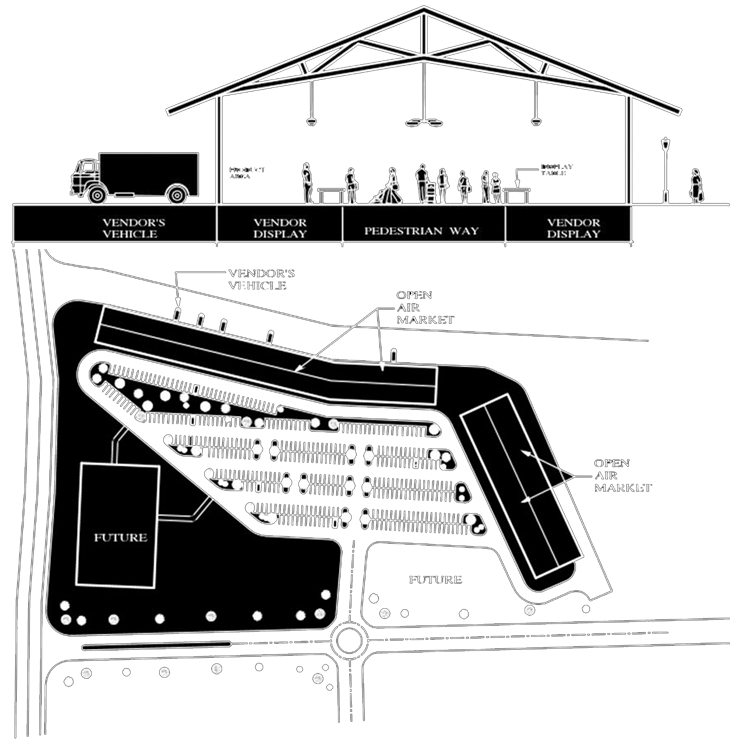 The structure of the open-air market should be slab-on-grade (6” min) with a large timber or steel vertical system. All sides would be open, and the roof system should be of the material to withstand the tropical environment. Electrical outlets are available at each vendor location. Access to the market is from the existing highway to a site road system and surface parking lot for pedestrians. Vendors/Merchants access the market facility through a designated entrance and can park and unload products at a rented space. The island of Barbuda has a fertile geology to support a variety of agriculture activities. Recent reports indicate agricultural land to be approximately 30% of the island. A sustained major agricultural market is the result of the efforts of the local small-scale commercial farming that provides products for the local population. Fruit, vegetables, and livestock produced on the island are exported throughout the Caribbean, Canada, and the United Kingdom. Export products include fruit and vegetable and livestock. Trade also includes trading activity with French, Guadeloupe, Martinique, St., Barthelemy, and Japan.